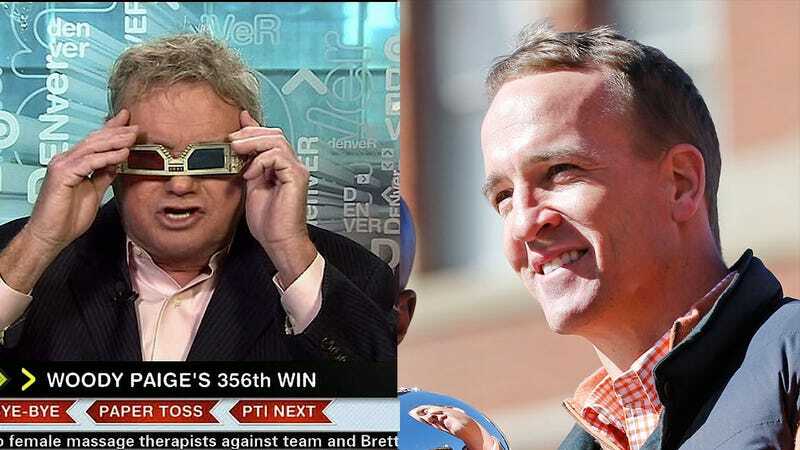 The Denver Post’s Woody Paige, citing two unnamed sources, says Peyton Manning will announce his retirement this coming week. I’m told Manning will acknowledge his decision by the end of this week. In all probability, Peyton, who will turn 40 on March 24, is leaving the Broncos and retiring from the game he has played competitively for 29 years. As Pro Football Talk notes, Manning is still signed to the Broncos; the “it’s implausible that Manning would opt to sign with another team” part makes no sense unless the Broncos quarterback is going to be cut—which, given he just won a Super Bowl, seems impossible.